What has NLG to offer? Why are there so few real applications at present? What extra constraints do real applications impose? 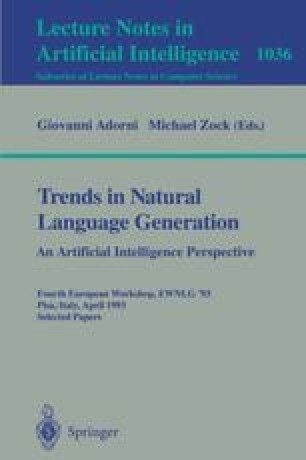 How can we compensate for current limitations in NLG? Where is new NLG work needed? In particular, we hope to give our own view of what areas NLG researchers should focus on if they want their work to be relevant to industrial applications in technical documentation.